Well the fishing has finally picked up. I have been running a few trips on the glacier bay and contender. 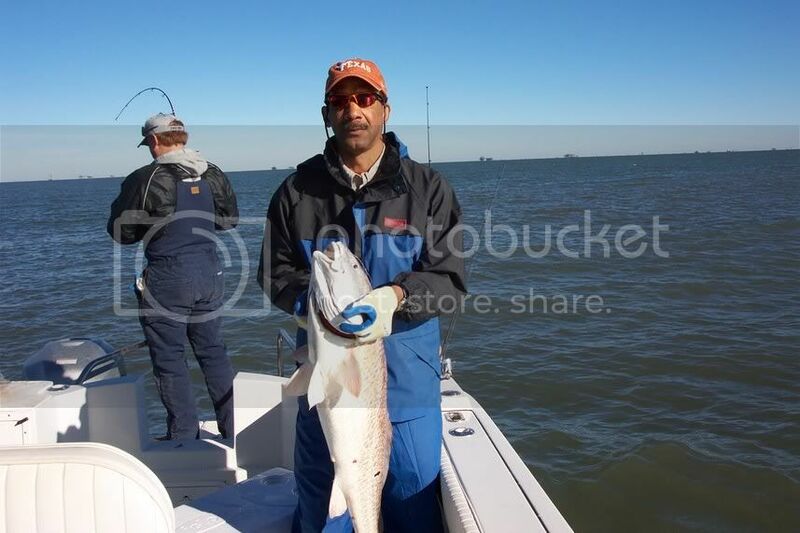 We had super bad weather one day so the call was made to go fish for bull reds and well whatever else bit. 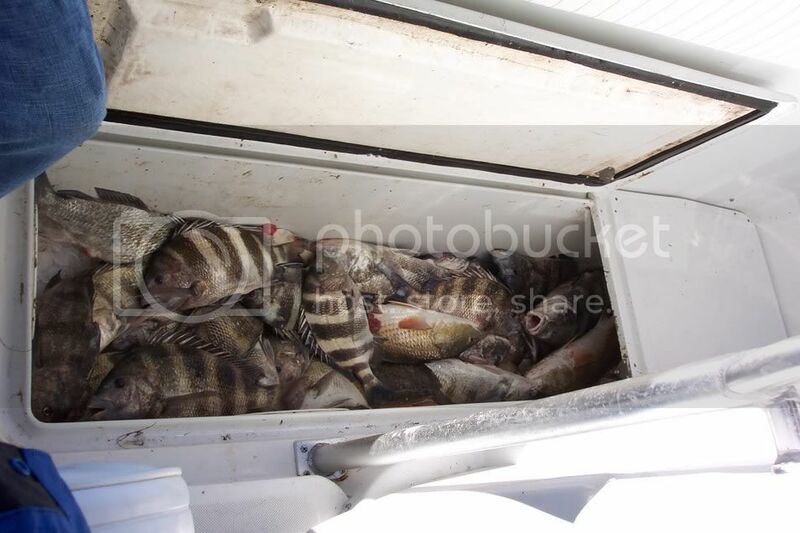 We started at teh shallow rigs in 40 feet of water and smoked the sheepshead and blackdrum on dead shrimp. 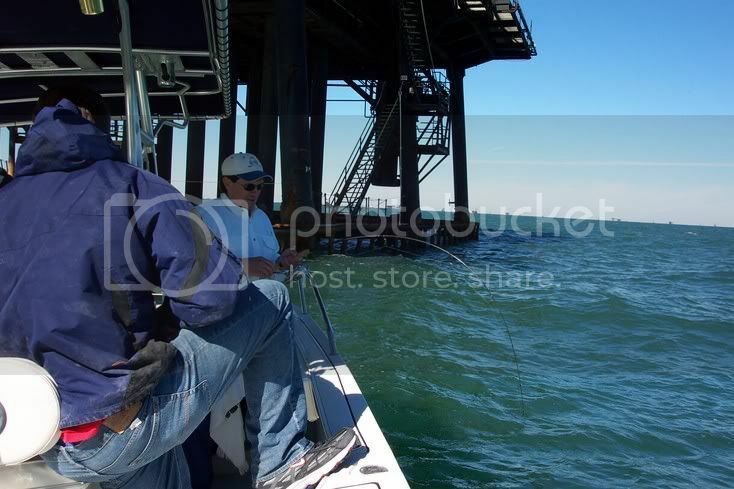 We got messed up by a bunch of bigger fish out here and eventually ran out of bait. 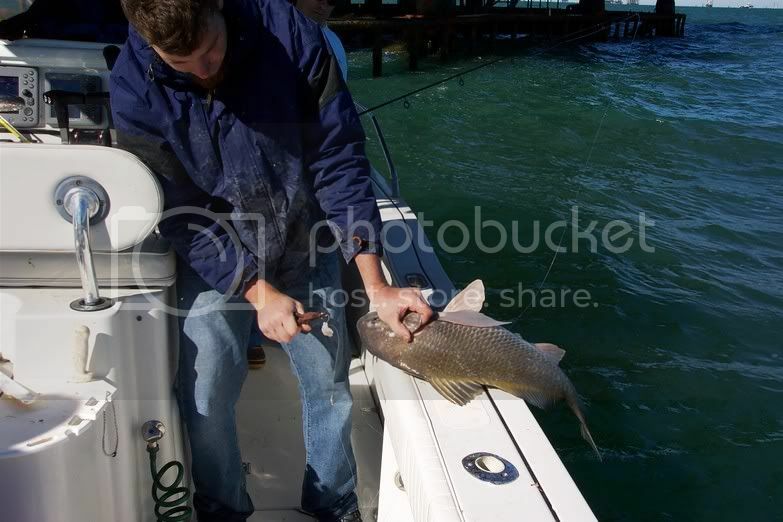 We headed back to the marina and picked up some dead pogies and headed over to the jetties for bull reds. Caught about 6 of them from 20-30 pounds and the guys from texas were done. Time to head to the dock, drink some beer, and get ready for day two. Day two rang up much better with the weather so we went on out to the lump and started dragging. Missed one wahoo right away and then got on anchor where it was a little slow. 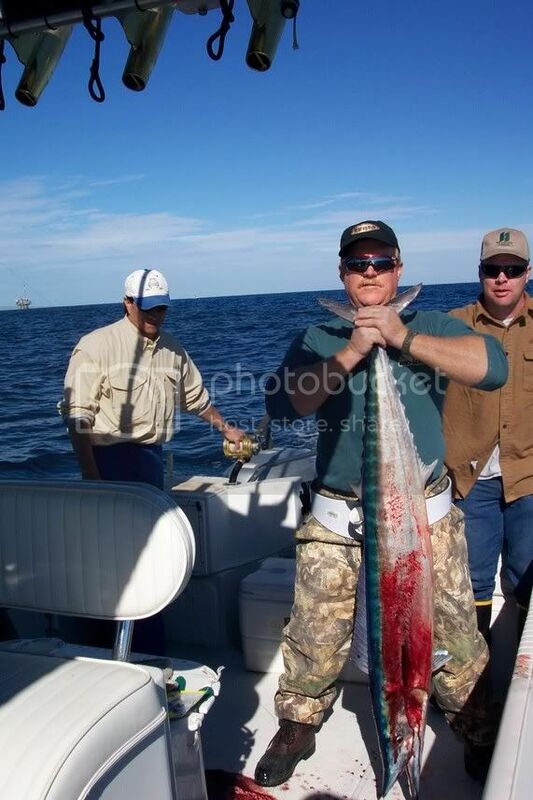 I started dragging pink diving baits again and put a 50 pound hooter in the boat along with 16 blackfin tunas. The weather blew the rest of the week so I didnt get back out until the next sat. This was a fun day. 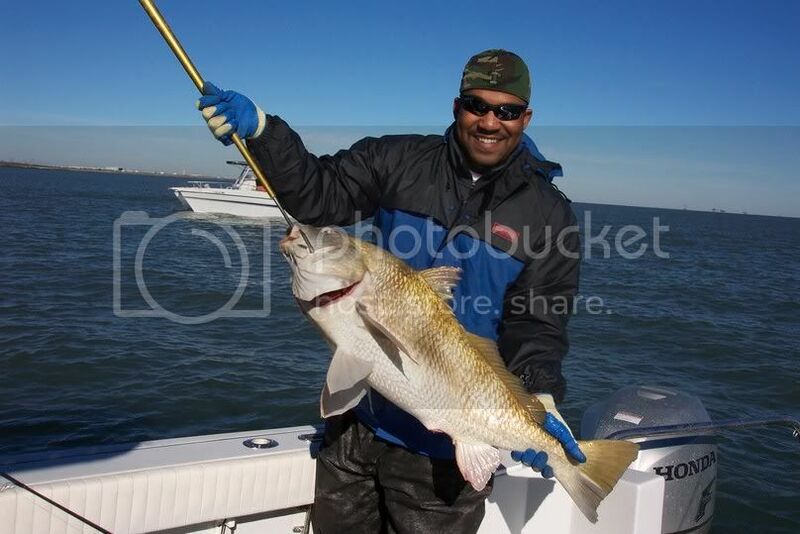 We showed up and started dragging and right away we got a 40 pound hooter on a stretch 30. Decided to drop anchor again and the first hour was a little slow then all heck broke loose as we had 20 yellowfin from 60-150 pounds chummed up under the boat. I started live chumming them and they were crashing the poor innocent little mullets 15 feet from the boat. They were a little finicky though and only wanted to eat 60 pound leader which cost us a couple of big fish. We ended that day up with six from 60-130 pounds. The next day was a little more of the same as I ran the 36 contender altough it was a lot rougher. 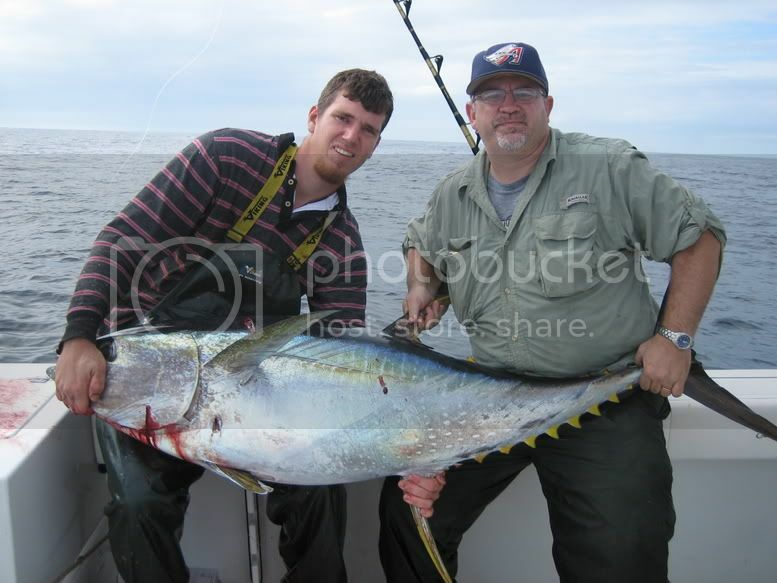 We anchored up and the first fish in the boat was a 40 pound yellowfin. We never had them hot and heavy today although we managed to land quite a few with the big boy at 150 pounds coming on a live mullet. We landed eight yellows and were on our way in by 1 pm. Life was good.